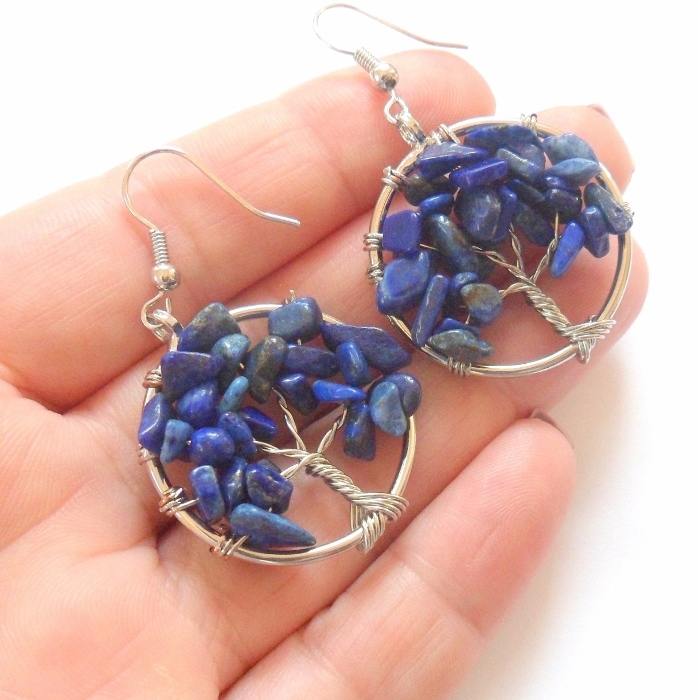 Lapis gemstone Tree of Life earrings. Lapis lazuli is a stone of honesty, creativity, and compassion. 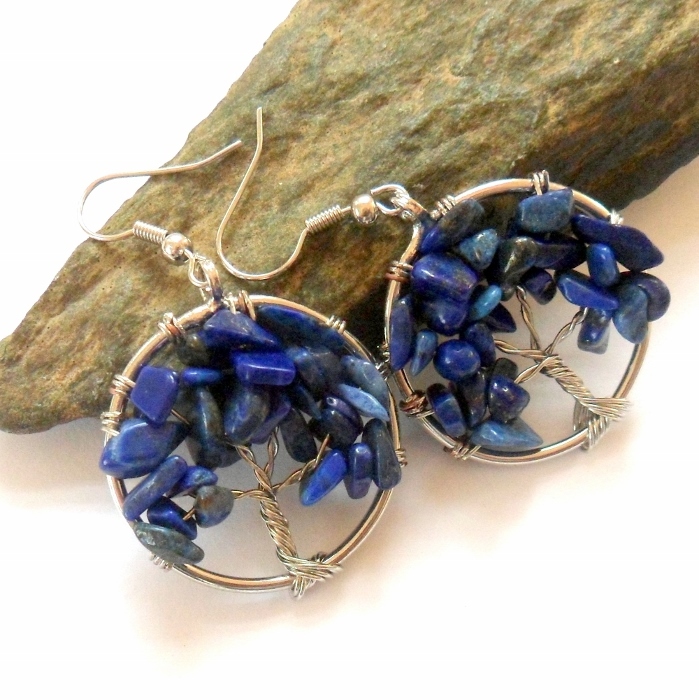 Lapis possesses enormous serenity and releases barriers and blocks. Lapis is a stone rich with ancient history. Buddhists believe lapis brings inner peace and freedom from negative thoughts. In Europe lapis was used as an antidote to snakebites. The Tree of Life represents the interconnection between all life on our planet. It unites heaven and earth and is honored as a universal symbol for healing, growth, the seasons of life, and the magical qualities of nature. The symbol tree of life has been used as in science, religion, philosophy, and mythology. Overall drop length 2 inches. The trees are 1 1/4 inch diameter.